As a general rule of thumb we try to create our own unique cocktails, or at least adjust from recipes we find in books and across the interwebs to better fit our own tastes. However, every once in a while we decide to go ahead and simply make a recipe straight from the liquor’s website. After all, they’ve got a lot more money to put towards mixologists and marketing than we do. Who are we to knock them and say they shouldn’t make cocktails a certain way? This cocktail comes straight from the Conjure Cognac website. 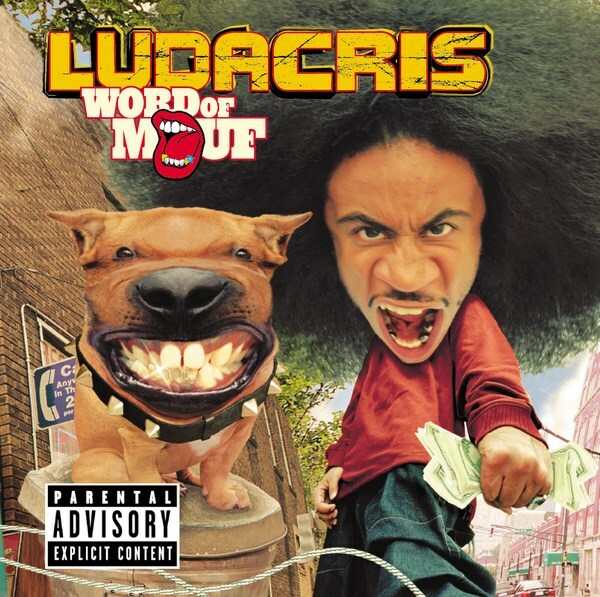 Now that we’ve visited it again, we have to listen to some more Ludacris. I’m not sure if Ludacris makes me want to drink more Conjure, but I can tell you that Conjure makes me want to listen to more Ludacris. It has also rekindled my love of dirty south. So I’m deeply appreciate of that. Combine the Conjure, orange liqueur, lime juice, orange juice in a cocktail shaker filled with crushed ice. Shake well and then strain into a chilled martini glass. Pour the grenadine down the inside rim of the glass. 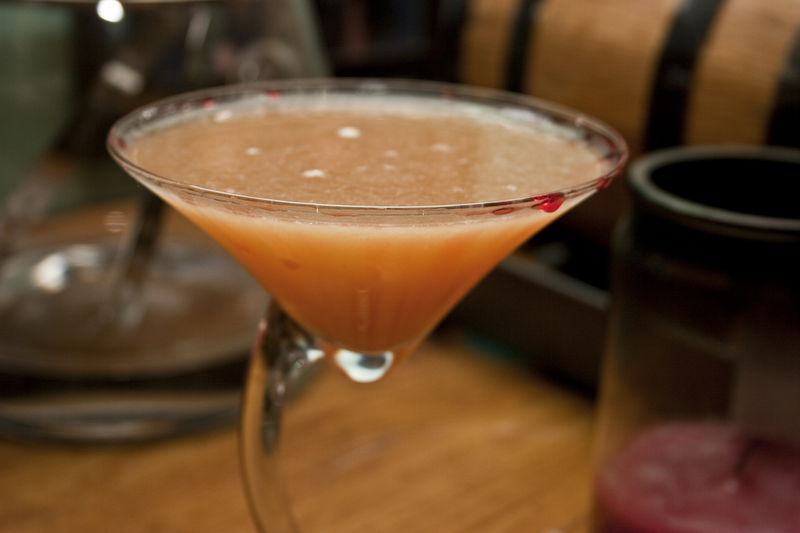 The bite from the citrus juices is kept in check by the sweetness of the grenadine and the heaviness of the cognac. It makes this a teeter-totter of a drink. If it’s mixed well, it’s great. If not, you run the risk of a very schizophrenic drink, so make sure you take the time to mix well.